Postmen do their best to provide quality service, but sometimes mail seems to walk off with a mind of it’s own. 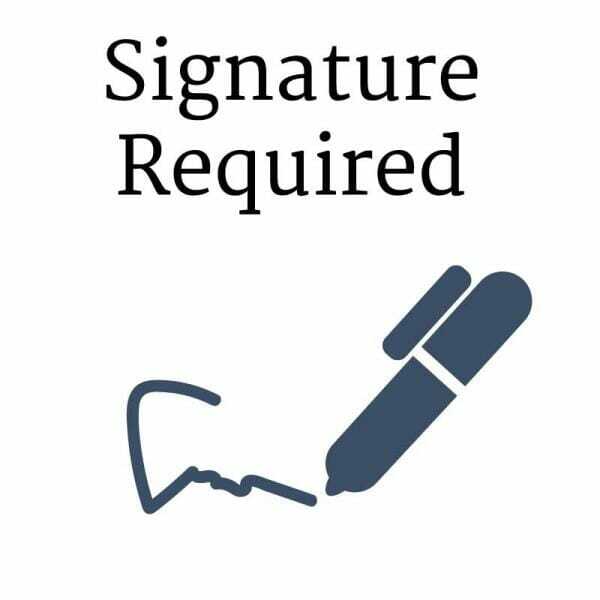 Save your package the long walk and add signature required to your delivery. Your postman will knock on your door to hand the package directly to you. Don’t worry! If you are not available when you package arrives, the postman will leave a note for you to follow up with the post office. – If your order is returned, this is a nonrefundable service item.